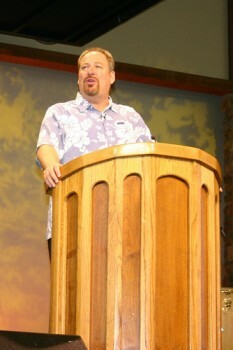 It has been reported that Rick Warren has gone green. This is no surprise to those who see the emerging church as another bridge to Rome and also the hug a tree for Jesus movement as the final straw for ecumenical madness. While UTT tried to warn Calvary Chapel several years ago what was going to happen, Gayle Irvin was busy promoting The Shack, Boby Coy was joining hands with Rob Bell and Skip Heitzig was dancing with Billy and Franklin Graham. Then just in case there is any doubt, Greg Laurie may become the new banner boy for dancing with the stars as his crusade overflowed Due to inclement weather there will be no skating on Anaheim pond. UTT looks forward to see who will be in the remnant and go on to share the gospel to the lost while the majority will be have fun pretending to be born again Christians while attending church the odd Sunday.